After four months of development, I have finally finished and released the project I started shortly before TIGJam; The Indie Game Legend. 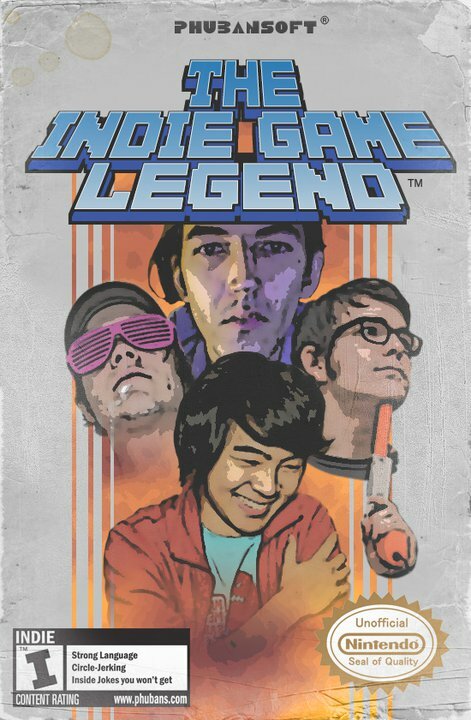 The Indie Game Legend, or TIGL for short, is a spiritual sequel to the NES cult-classic of a similar title- The Guardian Legend. The gameplay and themes are also very reminiscent of Guardian Legend, as you take control of a space warrior while exploring over 125 rooms spanning 5 different areas. At your disposal will be an assortment of 8 different weapons to dispatch dozens of enemies and bosses. Solve the puzzles of each area, defeat the bosses, rescue the captive indies, rinse, and repeat until you complete your challenging mission. This game was developed specifically for the enjoyment of the TIGSource community as well as fans of The Guardian Legend, so the humor is very referential. Though, even if you don’t get the jokes you should still be able to enjoy the game on its own, and I hope you will! Posted by phubans on March 2, 2011 in The Indie Game Legend. Independent game developer living in San Francisco. Don’t do it, Phil! Don’t pull that trigger! You have so much left to live for! At least until you ship Fez. The cover of the game is a masterpiece! Cool game, but I ran into a problem. The game automatically saves at the “flying skull boss fight”, which is nice except that when I quit the game and then continued the background music didn’t play and the boss fight didn’t initiate. So I was unable to finish. azerty keyboard is a nightmare, can’t play the game. yes i know there are keyboard shortcut to switch, but if you’re a photoshop user, you have to delete those to avoid getting crazy.